Resentment toward stepchildren causes conflict in marriage. 3 What if One Parent Talks Bad to a Kid About the Other Parent? It's usually not easy for members of a blended family to get along. Conflicts often arise over small insignificant issues as well as over critically important matters. Stepparents who have unpleasant interactions with their stepchildren often find the tension spills over and creates problems in their marital relationship. Whether the stress between the spouses is the result of unruly children or an unreasonable stepparent, understanding the family dynamics can help improve the situation. Speak honestly to your spouse about the problems in the family. 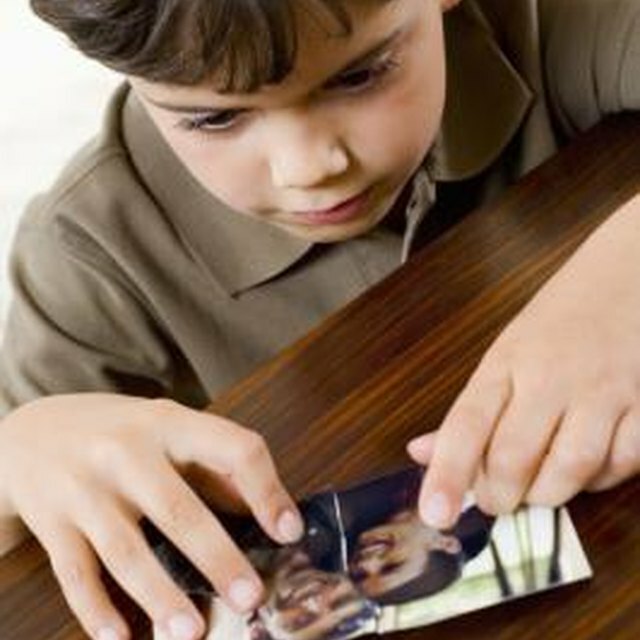 Express understanding of the difficulties inherent in the stepparent-stepchild relationship. It's essential that you and your spouse present a united front toward the child, so set rules together and agree to abide by them. On his website, Dr. Phil suggests the biological parent and new spouse discuss their hopes, fears and emotions for their relationship with the child. Ask your spouse what is causing the resentment. Don't express anger or accuse. Seek clarification and be supportive of your spouse. Don't feel forced to choose between your spouse or child. Assure them you love them both. Acknowledge the difficulty stepparents have feeling unconditional love for their stepchildren. In an article in "The Guardian" on stepparenting entitled, "I Love Him, But Not His Kids," radio personality, Alex Thomas, publicly admits her lack of affection for her stepchildren. Many stepparents agree they feel the same way. Take pressure off your spouse by letting her know you accept her inability to love your child. Trying to force affection that doesn't come naturally is likely to increase resentment. All members in a blended family usually have unrealistic expectations for their new relationships. Stepparents might expect demonstration of affection that the child isn't ready to show. If the stepparent's efforts to establish a bond with the child are rebuffed, anger and resentment naturally follow. Help your spouse gain more realistic expectations and appreciate the mixed feelings your child might be experiencing. Support your spouse by insisting your child show respect. Assure your spouse that you know it takes time for love to grow and you don't expect immediate results. Determine whether your child's other biological parent is aggravating the problem. Wednesday Martin, author of "Stepmonster," warns that some mothers overtly influence their children to reject their stepmothers. If you suspect this might be happening, explain the situation to your spouse and encourage her to divert her resentment from the children. Examine your parenting style. Your permissiveness might be contributing to your child's bad behavior and to your spouse's resentment, Try becoming stricter. If your child is particularly troubled, ask your spouse to give you some space so you can help your child resolve his issues. If the situation doesn't improve, consider family counseling. Wednesday Martin: Top Concern of Women with Stepkids: His Kids! Dr. Phil.com: What Role Should a Stepparent Play? What Is an Affinal Kinship?